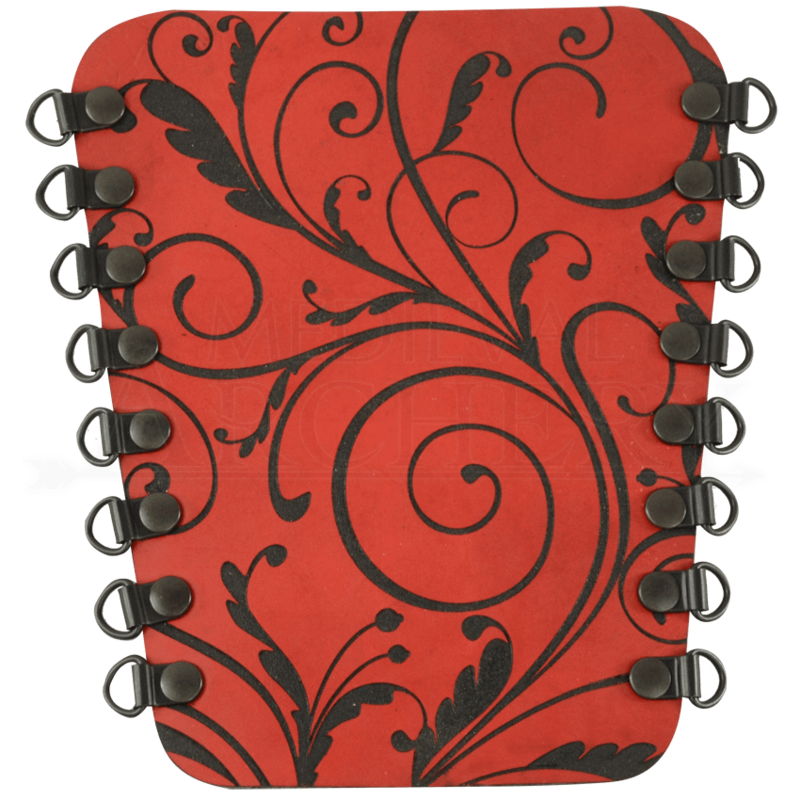 If you are looking to accessorize with elegance, this Filigree Elven Archers Arm Guard is a perfect choice. Excellent for LARP campaigns, Renaissance fairs, or modern archery events, this arm guard offers exquisite protection. Hand crafted in our shop from 7/8 ounce leather, this archers guard is available in a wide variety of color combinations. Identical in size to our Plain Archers Arm Guard (DK6100), this leather guard is enhanced with an intricate filigree pattern of curling vines. 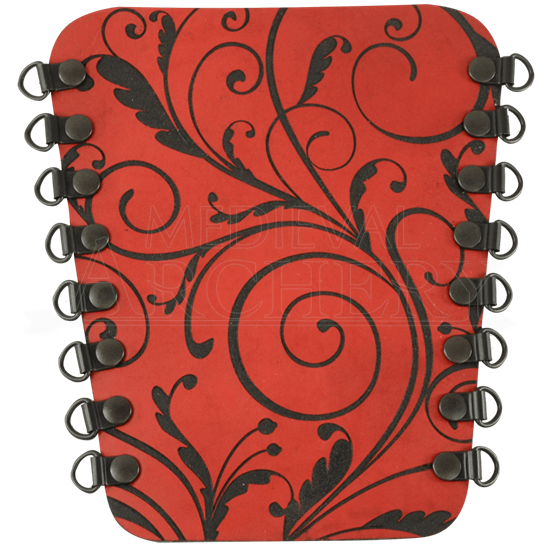 This arm guard is made with steel or brass speed lacers and includes one leather lace for a perfect fit. Made from durable leather, the Filigree Elven Archers Arm Guard provides just the protection you need on the inside of your arm when shooting your longbow or recurve bow. Coordinate your archery kit with the Filigree Elven Quiver (DK3109), sold separately. When selecting colors, the first color listed is for the color of the bracer. The second color listed is for the color of the swirl design.